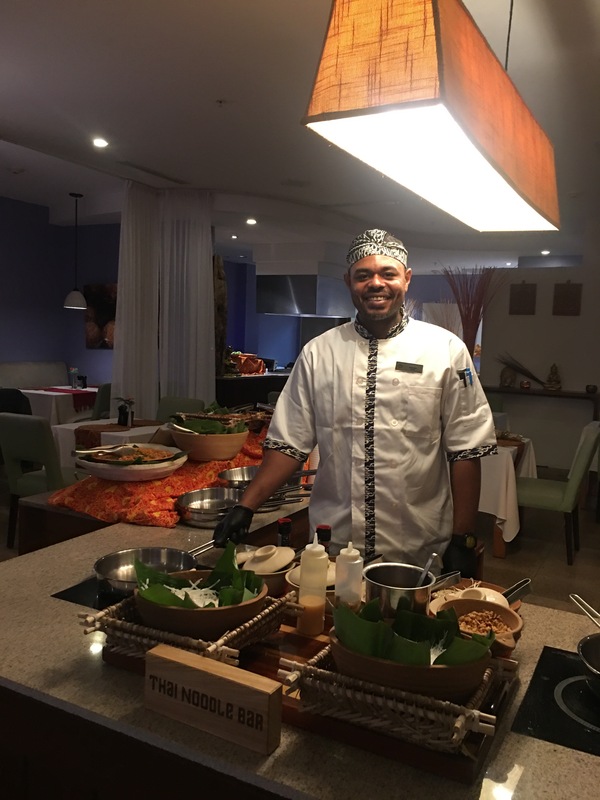 a new concept Courtyard by Marriott Paramaribo introduced on Tuesday, September 12. Fun is a way of life – The title says it already. 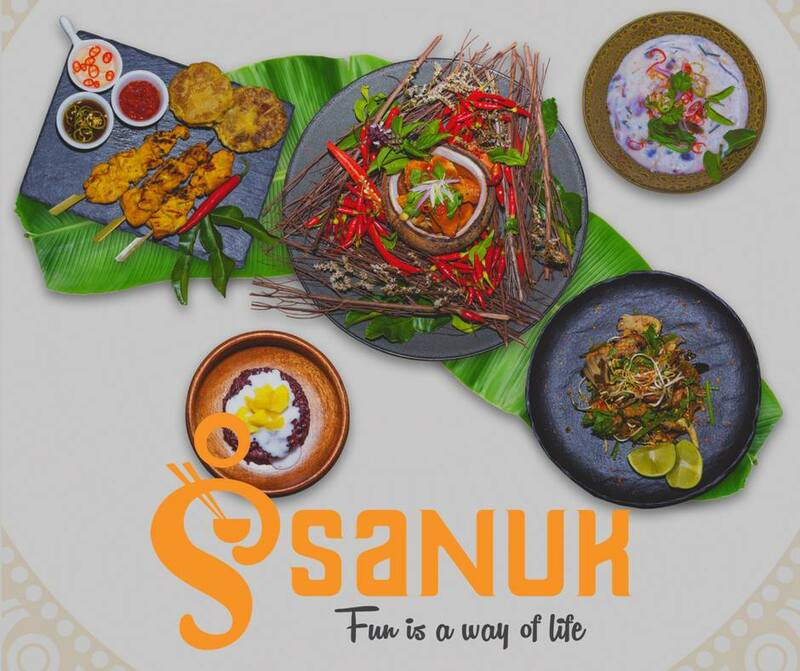 The word “Sanuk” (สนุก pronounced sanook as in “look”) in the Thai language, means to have a good time, to have fun, to enjoy oneself and to derive pleasure and joy from something. It is almost a rule of living for Thai people that whatever they do, it has to be Sanuk. The concept of Sanuk goes beyond having a good laugh or a good time at a dance or a performance or even at dinner. 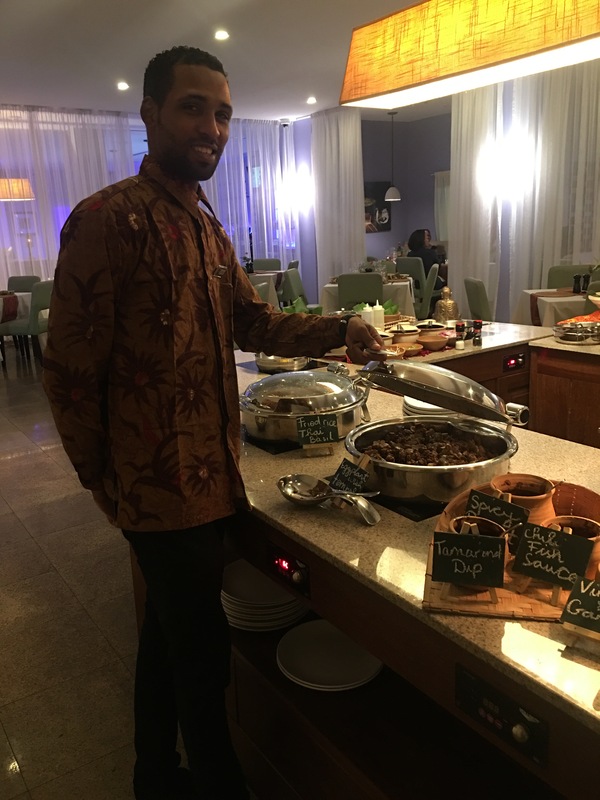 Walking through the restaurant you will see the perfectly decorated room, very inviting, beautifully calm… The staff was also graciously dressed in Thai clothing or with a Thai shawl making them blend into the look and feel of this well-earned evening. 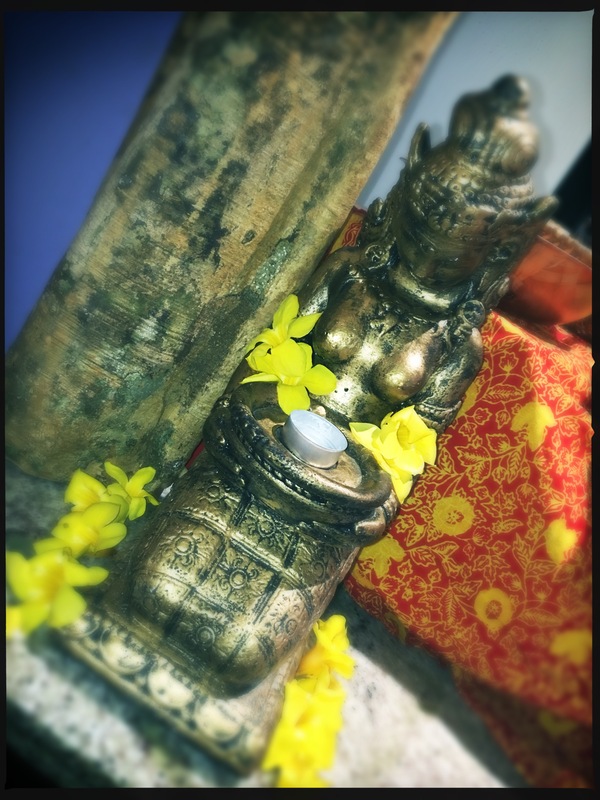 You are welcomed with a small statue that offers you a little light. 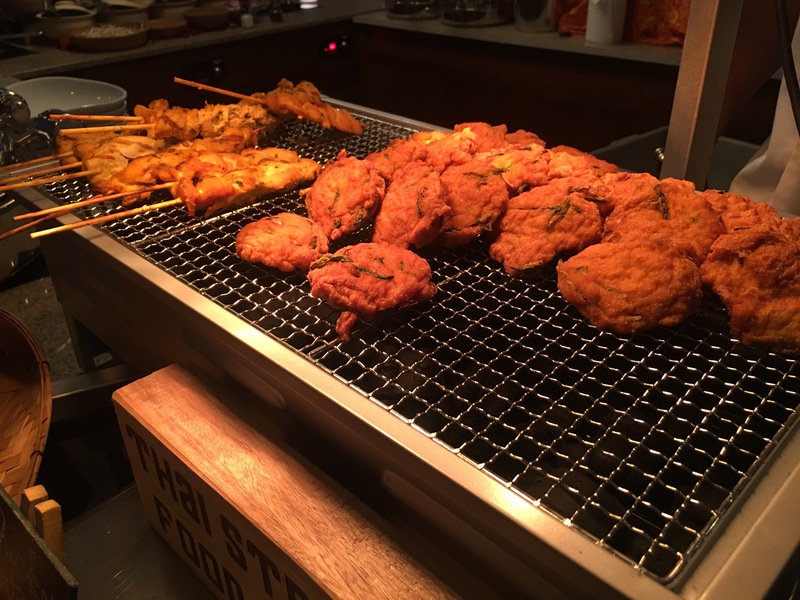 Most people write about… and take pictures of the dishes they’ve eaten, but they sometimes forget the to highlight the atmosphere and ambiance the location has and how much effort the staff puts into the evening itself. These two gentlemen are not the only ones that made this night a memorable one. They did make sure each and every guest was welcomed and that they enjoyed their evening too. As we already stated, the staff was dressed in Thai clothing, making sure they blend right in. From Thai shirts to Thai shawls or hats, to the Thai decoration, the ambiance was all set perfectly correct. It’s always nice to see that the venue implements a lot of elements, for this specific event, for a successful evening. This is an all-you-can-eat event. 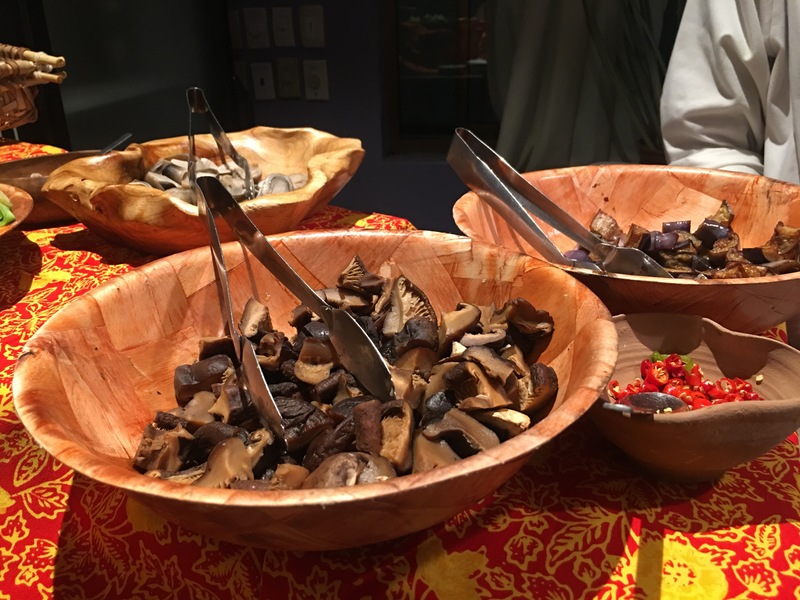 The Thai Fusion concept replaced the older, also wonderful concept, Pastaria La Dolce Vita. The Pastaria La Dolce Vita concept was a simple one, where you could eat all the pasta you want in all the different ways you want. 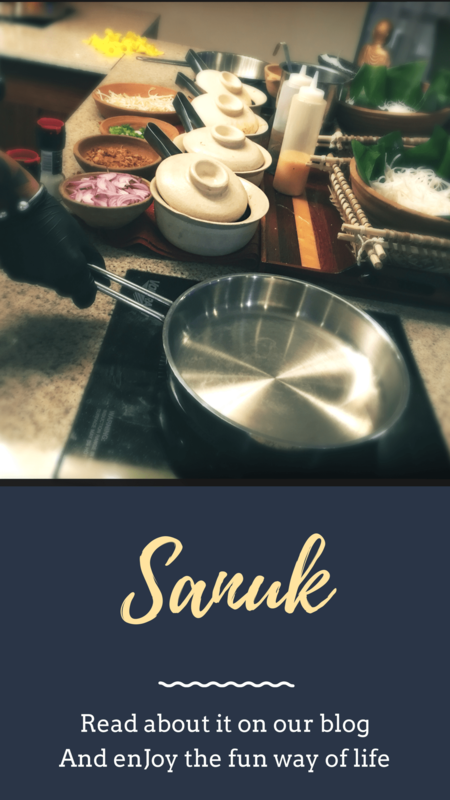 Sanuk is a Thai Fusion concept, which has all the Thai recipes you can imagine, but with a twist, the fusion part of course. 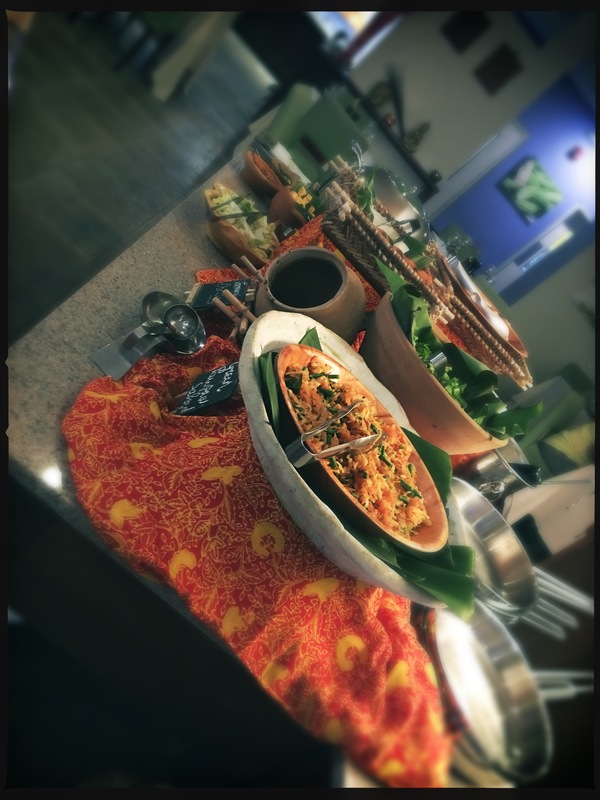 As soon as you walk in the room, the first station you will see is the Thai Noodle Bar, which we call the Pad Thai (ผัดไทยกุ้งสด) station. At this station, the chef will prepare your meal according to what you told him to add to it. Fresh ingredients like red onions, spring onions; and dry ingredients like fried garlic and onions… lots of onions 😀 You can choose between meats; chicken, beef and also shrimp or seafood, and lastly, you can choose between the noodles; wide rice noodles or rice vermicelli. Tamarind dip, Vinegar & Garlic sauce, Chili Fish sauce together with the never to miss Spicy Peanut sauce! Peanuts are one of the items you will find in various Thai dishes. They are usually coarsely ground so that they’re like thick grains of sand, not like mud or peanut butter. 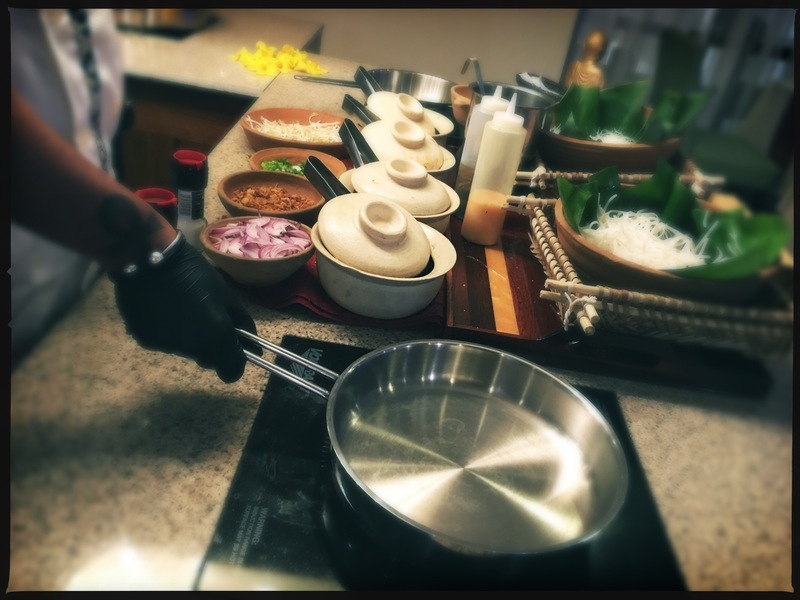 It is often stated that peanut sauce is a Thai sauce, but Thai Table begs the differ: “We don’t have the ‘peanut sauce’ in Thai cuisine as the Thais in Thailand know it.” Read more on The Truth about Peanut Sauce. These sauces can be found at the Thai Street Food & Dip station. The salad of the evening was a mix with papaya, Green PawPaw salad. And the soup you could say is similar to our own Javanese Saoto Soup. It is made with Lemongrass, but much stronger and the Thai soup has cream in it. 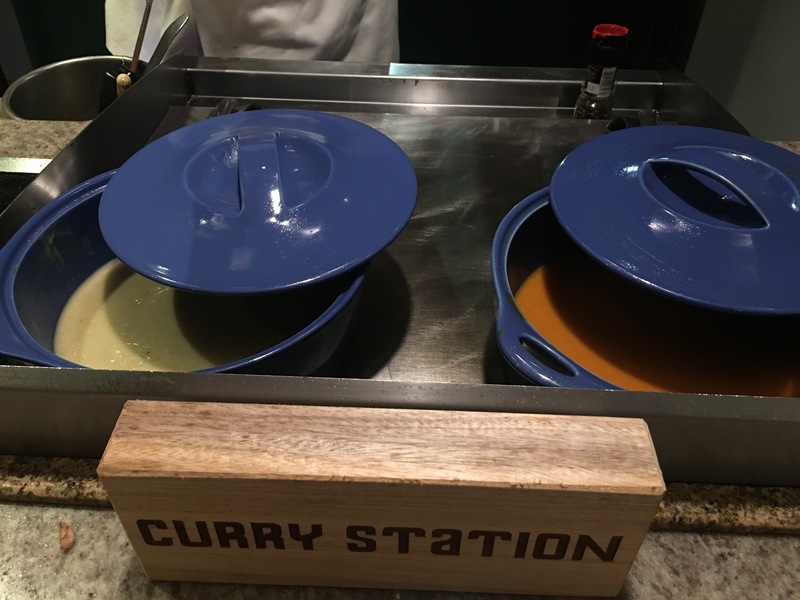 At this station you can build your own soup with the ingredients provided. When you look at the pictures, you can see that this is one of the stations that is going very well! Fresh vegetables, mushrooms dry and fresh, tofu, pepper, and you can choose between fish, beef, chicken, and pork. Just like when you came in and were welcomed with a statue, you are also greeted and thanked by one. Normally you won’t see dinner mints on there, but we loved it for the picture. I hope you visit Courtyard by Marriott Paramaribo soon and enjoy your journey to Thailand while having fun, SANUK! Thos os a rwally good review! 🙂 the place definitely deserves attention! Also, really good photos. I love how you described the restaurant itself and the food! I really want some Thai food now. Thank you for sharing!